You can already download a proof of screening certificate when you screen a file with TPS Services. 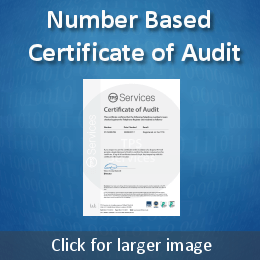 These certificates are designed to keep a log to demonstrate that a particular file has been screened against the TPS and/or CTPS registers and to help call centres and brokers provide a ’proof of TPS screening’ back to their clients. 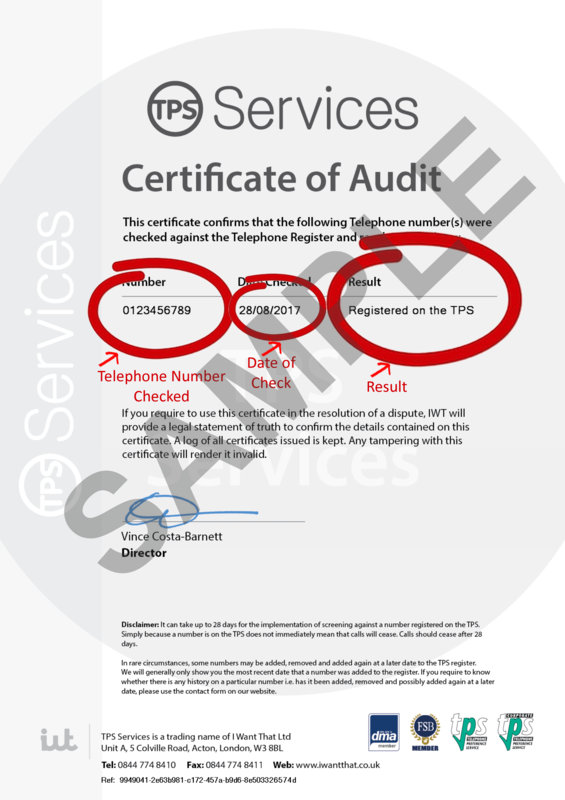 Now TPS Services has enhanced the audit capability of it’s TPS Screening services and brings you the ability to print proof of TPS screening certificates on individual telephone numbers. 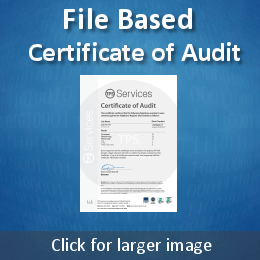 File based certificates make reference to the file name you screened, the date you screened it, the quantity of records within the file and the breakdown of the results i.e. how many records on each of the registers you checked against (including your own Do Not Call (DNC) lists if you checked against those). File based certificates are available when you view the details for your file once it has been screened. This short video will show you how to get your Certificates of Audit for a file of data you’ve screened against the TPS, CTPS or other registers on your account. Your browser does not seem to support HTML5 video. Download the video instead. There are occasions when, generally due to the receipt of a complaint, that you need to prove to a consumer, a client or to internal management that you screened a number against the TPS, CTPS or even your own Do Not Call (DNC) list. Well now you can. 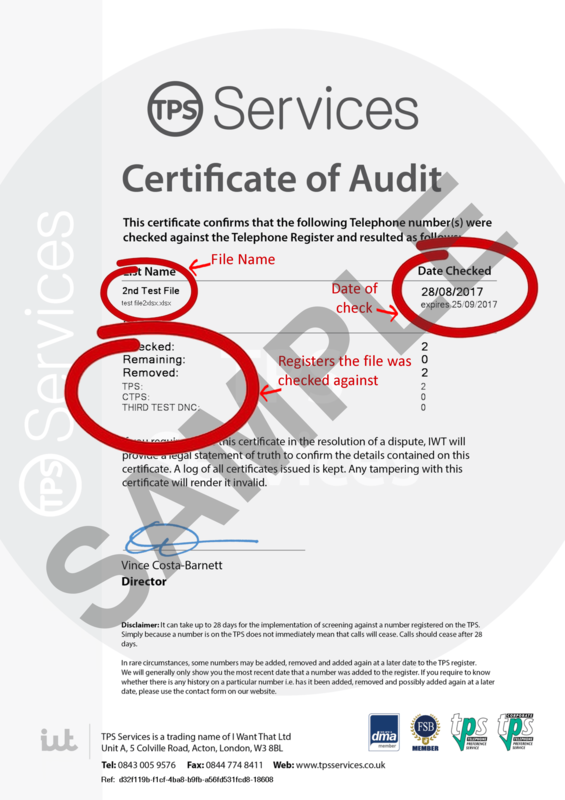 These new TPS Audit Certificates will allow you to print off proof that a particular number was checked, on what date and with what result. This short video will show you how to get your Certificates of Audit for a specific telephone number that you’ve screened against the TPS, CTPS or other registers on your account.